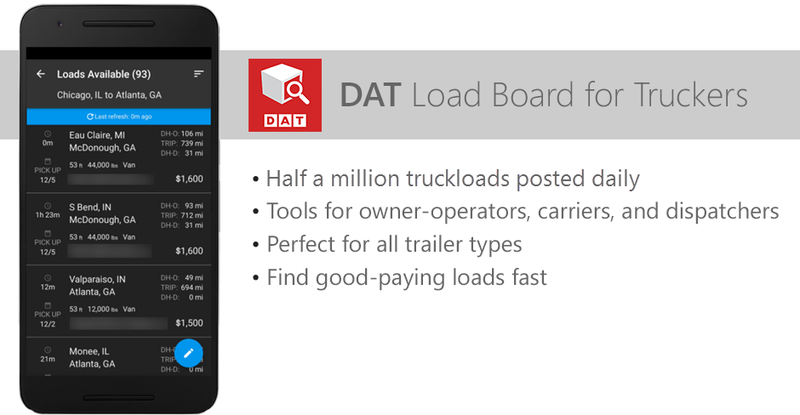 If you’re a DAT TruckersEdge subscriber, then you also get the DAT Load Board for Truckers mobile app for free. The app has been available for Android for a few months, but now it’s also available in the Apple App Store for iPhone and iPad. With the app, you get access to the more than 485,000 loads that are posted to DAT TruckersEdge every business day. You also get tools that you won’t find on any other load board app, built specifically for owner-operators, carriers, and dispatchers. Just download the app onto your phone and log in using the same info you use to log in to the TruckersEdge website.